The Michaux State Forest sits at the very northern end of the formation that is known further south as the Blue Ridge. Other than that, I had little idea where I was going. I’ve driven past this area dozens of times over the years, between my home in Virginia and points north to visit family in the Poconos and New Jersey. The May/June 2013 issue of Eastern Fly Fishing had an article by Dusty Wissmath about trout streams near the Lincoln Highway and Chambersburg, PA, and it highlighted this state forest. Trouble for me was that I was on my way back to Virginia and didn’t have the article in hand. So, I winged it, found a stream near the road, parked, and rigged up. The water was low for a mid-May day. When I first took a look, I almost got back in the truck and drove away. Small water, skinny and crystal clear. It looked more like a mid-summer day, and it was in fact in the low 80’s. Well, what the hell… I had detoured off I-81 and was wasting time, might as well try it. So I tied on a size 14 Royal Wulff, and caught some fish. 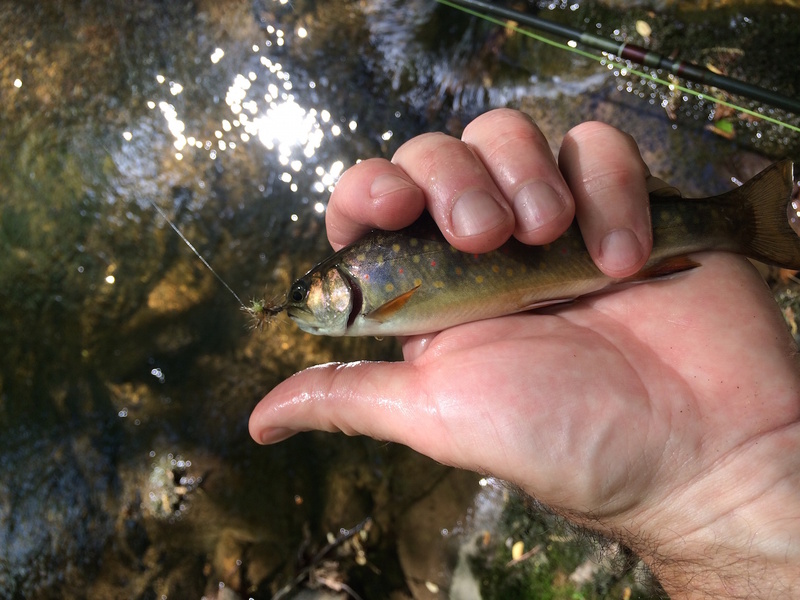 Pictured at the top is the first and best brookie I caught. Next is only other one I landed. 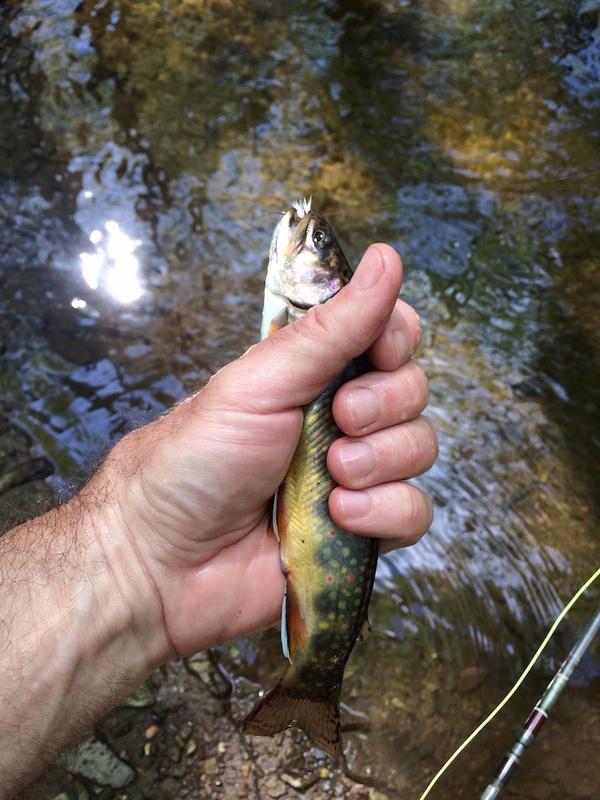 I fished for maybe twenty minutes, and spent about three minutes “hiking” from my car to the first pool with the first fish, then meandered another ten minutes upstream, saw some splashes and missed a few before the I caught the second. Then I headed home. There is a lot to explore in this area, including streams in Caledonia State Park, Mont Alto State Park and Pine Grove Furnace State Park. 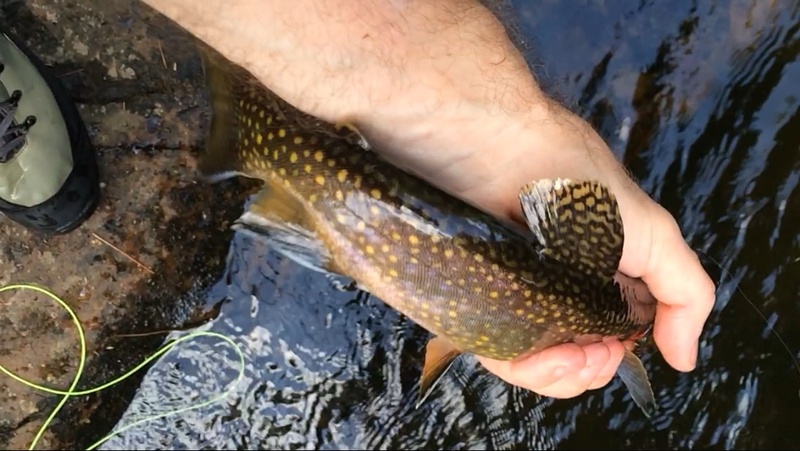 I don’t think the stream I picked was necessarily the top in terms of quality, but I was surprised by the fish I found. That shows that the rest of the area is worth checking out. Do you know the name of the stream you fished? I’m headed up there soon and would like some advice before heading up there. I don’t remember, it’s been a while. But you should be able to find multiple access points from any of the main roads that run through the state forest.